"We live in the age of data. In the last few years, the methodology of extracting insights from data or "data science" has emerged as a discipline in its own right. The R programming language has become one-stop solution for all types of data analysis. The growing popularity of R is due its statistical roots and a vast open source package library. 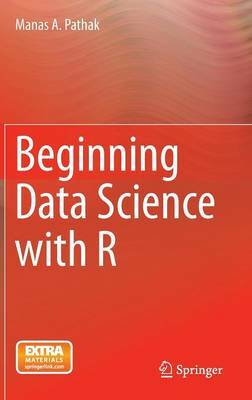 The goal of "Beginning Data Science with R" is to introduce the readers to some of the useful data science techniques and their implementation with the R programming language. The book attempts to strike a balance between the how: specific processes and methodologies, and understanding the why: going over the intuition behind how a particular technique works, so that the reader can apply it to the problem at hand. This book will be useful for readers who are not familiar with statistics and the R programming language.